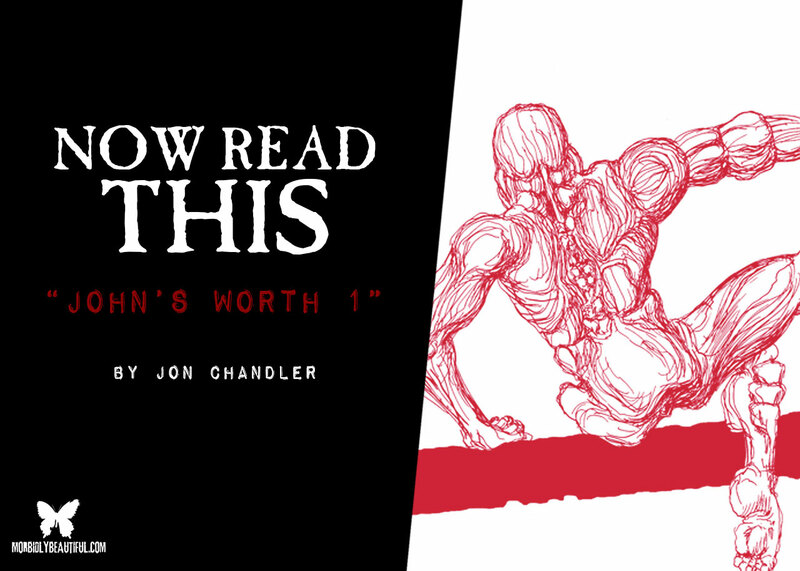 The dark and disturbing horror comic “John’s Worth 1” is a well-paced and unconventionally written and drawn romp in stomach-turning body horror. I struck gold yesterday. I was in Buffalo, New York fossil hunting with my fellow reviewer Josh Blodgett, and decided to hit up a few book stores, as well as a comic shop called Gutter Pop Comics. Gutter Pop Comics carries plenty of your run of the mill super hero adventures, but it also carries a curated selection of comics and zines from independent cartoonists and creators. I bought quite a few things while I was there. Anything that looked like it might be horror, or have horrific elements, I snatched up. Unfortunately I didn’t have enough money for all the things I brought to the checkout counter, so I was forced to go through what I had grabbed and pick out the comics I REALLY wanted. One of the comics I ended up buying was a little comic titled John’s Worth 1. Two guys who were checking out the independent comics while we were there had picked it up and were chuckling at the graphic and subversive content inside. I asked the guy holding John’s Worth 1 if he intended to buy it and he said that he might buy it, but if I wanted to that was fine with him (or something along those lines). He then handed me John’s Worth 1. After opening it up I decided then and there that I had to get it. John’s Worth 1 is a rough and sticky body horror extravaganza. The comic starts out with John seeking a job with some shady establishment that unbeknownst to him (at first) is distributing a drug called “sPeX”. The drug in question is an alien looking entity that sticks its proboscis up your nose causing you to trip. 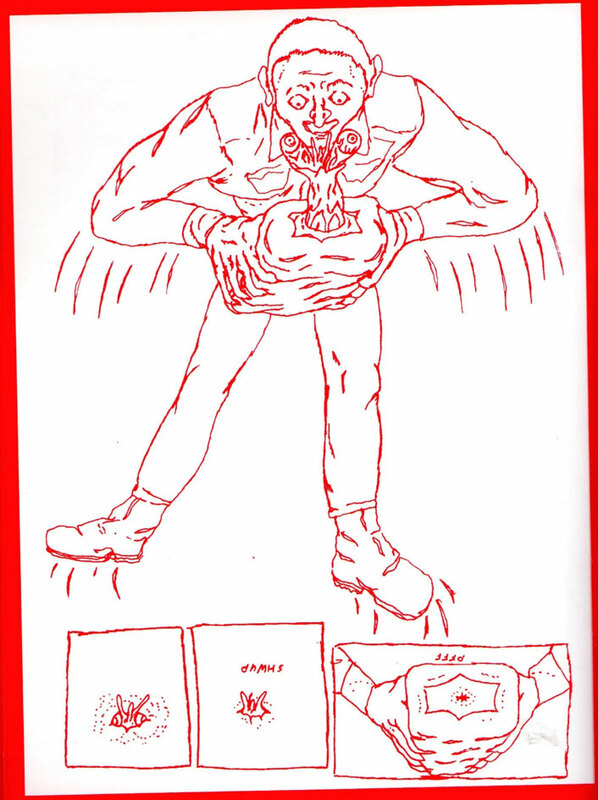 John is invited to try this drug, but before he can put it down the drug comes alive and forces itself on him. What follows is straight out of Mr. Cronenberg’s sick imagination. I won’t give anything away, but let’s just say that the last half of John’s Worth 1 could get you fired from most straight-laced places of employment if you were caught reading it. 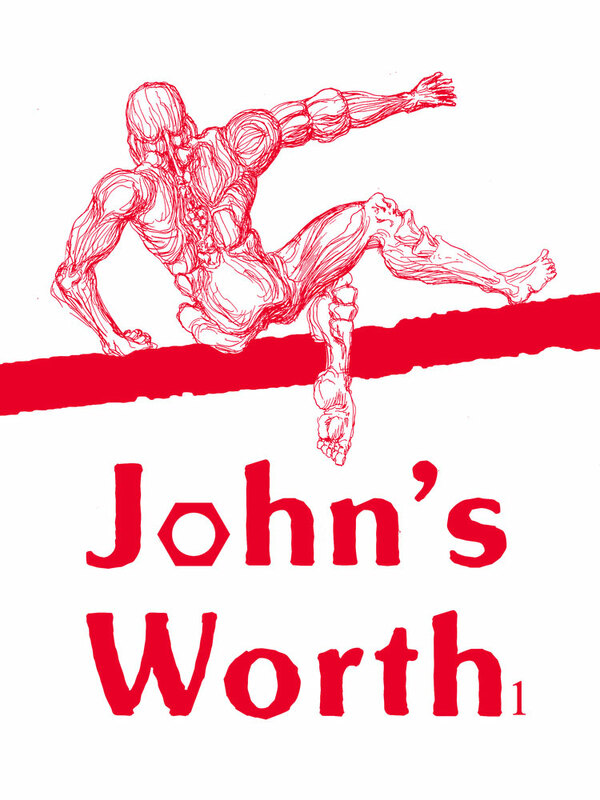 John’s Worth 1 is a nasty little treat that everyone with a strong stomach should check out. I look forward to picking up John’s Worth 2 and 3. I don’t doubt that they’ll be just as disturbing and NSFW as John’s Worth 1.